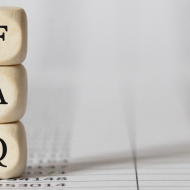 One of the key simplifications for small entities reporting under section 1A of FRS 102 is the reduced number of disclosures required, compared to both full FRS 102 and the old FRSSE. However, there is still judgement required in the extent and nature of disclosures made – in this article we look at some of the disclosures that are causing difficulties in practice. Should directors’ remuneration and dividends be disclosed as related party transactions under FRS 102 section 1A? This is an area that has caused much debate because related party disclosures must now be filed at Companies House (this was previously not required under the abbreviated accounts formats). The issue comes down to how to define ‘normal market conditions’ for a small entity. In some cases, it may be relatively easy to conclude that the transactions have taken place under normal market conditions – for example, if a director undertakes a functional role within the business and is paid a salary commensurate with what would be paid if an external individual were to take on the role. However, it is more likely that the split between amounts paid as directors’ remuneration and dividends is driven by other factors such as the tax impact. It may be possible to argue that this is standard practice in small owner-managed businesses, therefore as long as the amounts are within a normal range for this type of entity, it could be argued that the transactions are ‘under normal market conditions’. As there is no definitive position as yet, this remains a matter of judgment, it is important that transactions with directors are assessed on a case-by-case basis, and that any unusual circumstances are taken into consideration e.g. large pension contributions, significant variations year-on-year. It is worth noting also that the intention of the legislation that introduced the new small company accounting requirements was to deregulate, therefore it seems unlikely that it would require small companies to file more information than previously. What accounting policy disclosures should be made under FRS 102 section 1A? 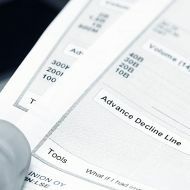 Accounting policy disclosures are covered by section 8.5 of FRS 102, which refers to a ‘summary of significant accounting policies.’ The key is therefore to focus on the principal, or significant accounting policies, and not necessarily to reproduce all of the policy disclosures produced by your accounting software. Disclosures are only required in relation to significant transactions/balances – for example, if the only financial instruments a company has are straightforward debtors, creditors and cash at bank and in hand, it is unlikely that a long and detailed financial instruments note is required. Significant accounting policies should be tailored to the specific circumstances of the company – this provides more useful information than simply using the wording from the standard or accounting software. Revenue recognition is almost always a key accounting policy and should be tailored so that it provides company-specific information. Section 8 of FRS 102 also refers to the disclosure of significant judgements and estimation uncertainty – these should also be disclosed by small entities reporting under section 1A where they are necessary to provide a true and fair view, and can be included in the summary of accounting policies or in the relevant note disclosure. Should the encouraged disclosures under Appendix D of FRS 102 section 1A be included as standard? FRS 102 was amended in December 2017 as a result of the FRC’s triennial review process, with the resulting changes effective for accounting periods beginning on or after 1 January 2019 (early adoption is permitted). As a result of the amendments, Appendix D will be re-named as Appendix E (a new appendix is added for small entities in the Republic of Ireland). 'the disclosures relating to material uncertainties related to events or conditions that cast significant doubt upon the small entity’s ability to continue as a going concern as set out in paragraph 3.9'. These encouraged disclosures should be assessed on a case by case basis and included where it is judged necessary in order to give a true and fair view.